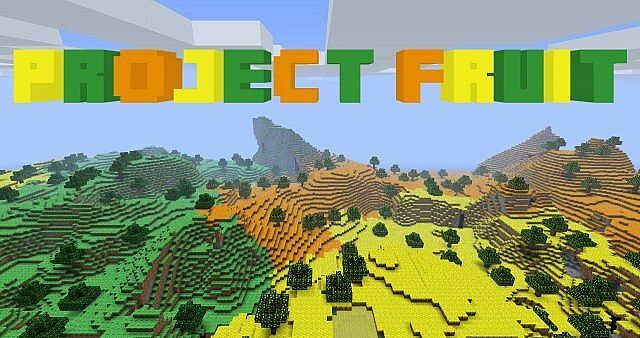 With Project Fruit TwistedCarny built around the Lemon Land mod and added a whole new dimension that’s made of fruit. When you enter the fruit dimension you’ll see four different biomes. The lemon biome, the lime biome, orange biome and the blueberry biome. Move ?Project Fruit x.x.x.jar/.zip? to your mods folder inside your .minecraft folder.